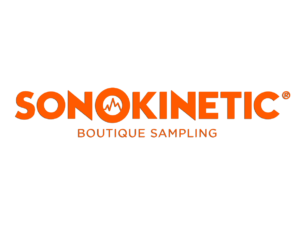 Founded in the early 2000s by a small group of composers and audio professionals, the Seattle Composers Alliance sought to create a non-competitive community of like-minded professionals and enthusiasts. The first meetings of the SCA were much like what we have today: opportunities to discuss gear, swap stories, share knowledge and collaborate on projects. Over time, the ways we create, capture, and experience music have evolved. We're here now to bridge the traditional with the new, connecting our members with the techniques, tools, and resources that truly serves the music creator. 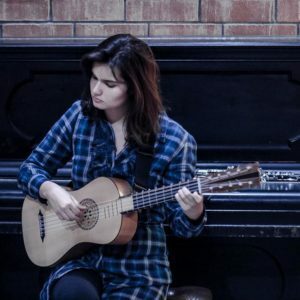 Masha Lepire is an award winning composer, sound designer, guitarist, and conductor. She began her video game music career by founding the Video Game Orchestra and Choir at UCLA when she was a classical guitar performance major. Masha now founded and runs the Seattle Video Game Orchestra and Choir in addition to performing and composing for video games and other forms of visual media. She also participates as an arranger, producer, and musician of the Materia Collective music label and the folk group The Travelers VGM. Masha is also a board member and advocate for the The Audio Mentoring Project. She also founded and currently manages the Women in Audio slack community and has participated as a panelist at GeekGirlCon and MagFest. The SCA board members are all accomplished composers and music industry professionals living and working in the Puget Sound area. Soren Laulainen is an award winning composer, orchestrator and electronic music producer. 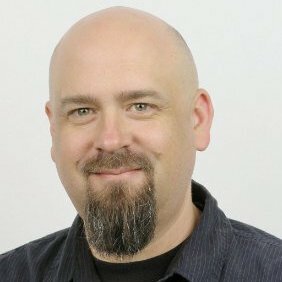 He began his music career in college, scoring narrative short films for fellow students, and technical videos for Boeing. He graduated valedictorian from Cogswell Polytechnical College with a B.A. in Digital Motion Picture. Currently, he is working with indie studio SPITE HOUSE to create all the sound and music for the video game TRUNDL.buddy and the Ghostly Wi-Filactery, whose prototype reached the top 50 (out of 3,000) in "Most Fun To Play" in the Ludum Dare online game jam. 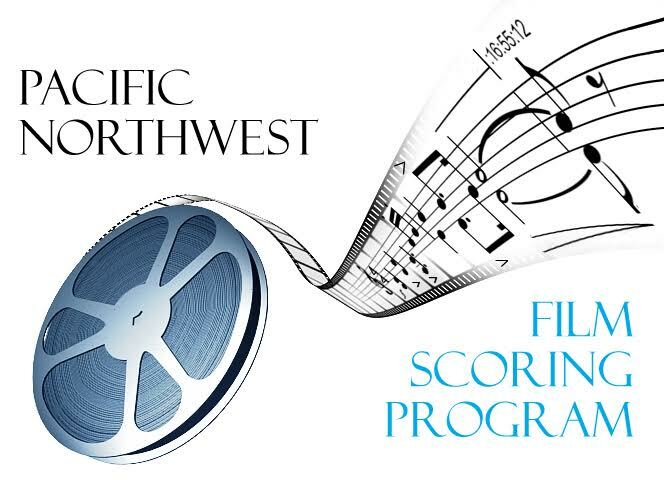 Amy Denio serves as Vice President on the Board of the Seattle Composers Alliance. An award-winning composer and producer, she was inducted into the Seattle Jazz Hall of Fame in March, 2015. She is a multi-instrumentalist who sings four octaves, and has produced over 50 recordings solo and in collaboration with artists worldwide. She started her record label Spoot Music in 1990. Denio composes for modern dance, film and theater. Her composition ‘Dishwasher’ was included in the Venice Biennale in 1993. Her interactive public Sonic Bench is now displayed permanently at the Vashon Island WA Parks Department Office. Her music has been heard at Carnegie Hall, Brooklyn Academy of Music, REDCAT in LA, and by 25,000 people at a festival in Bursa Turkey in September, 2016. Since 1990, she has gone on 100 concert tours. 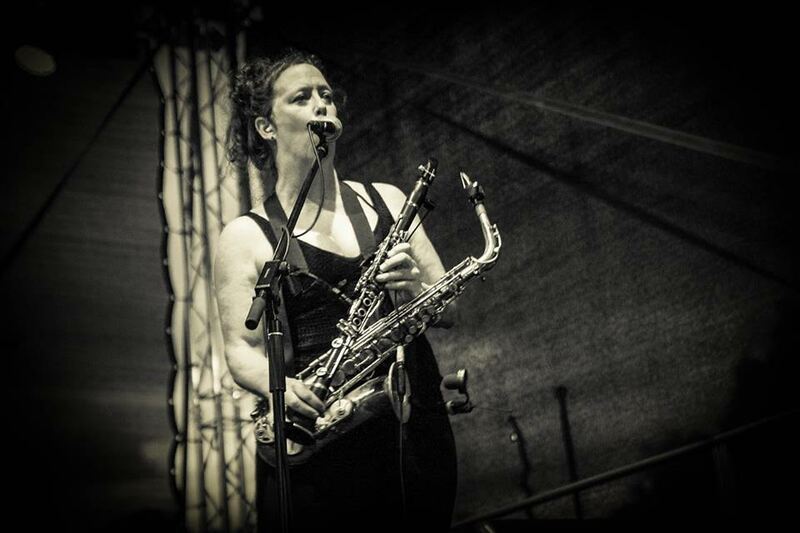 She co-founded Tone Dogs, The Entropics, her all-women sax quartet The Tiptons (1988-present) and joined Kultur Shock in 1999. Denio has played concerts and taught musical workshops at festivals, clubs, prisons, churches, sanctuaries, subways, universities, squats and abandoned buildings perched on 6 continents. 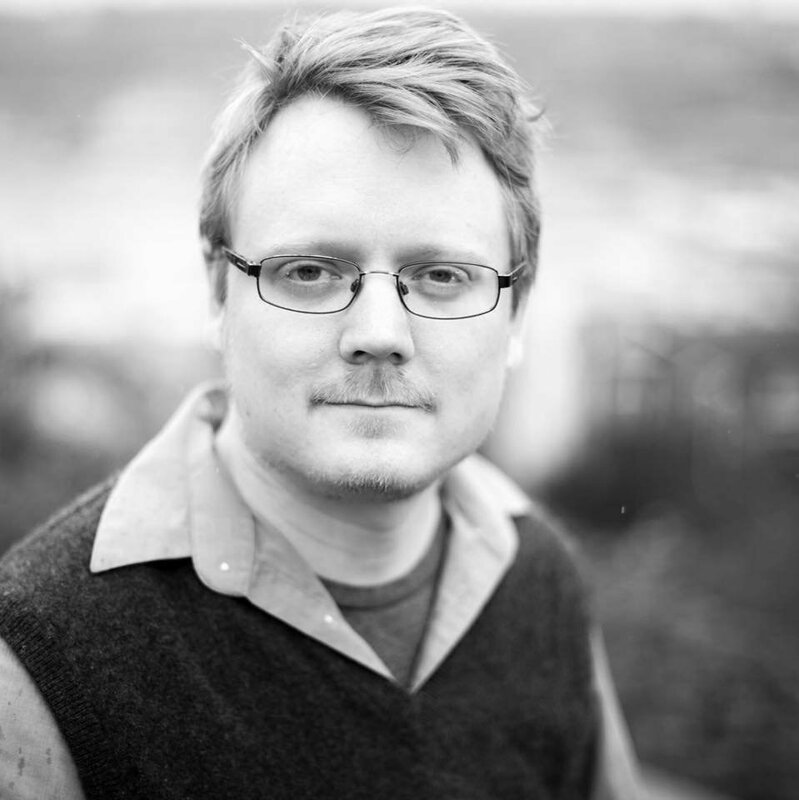 Phillip Manget makes music for film and television and is a sound and multimedia designer. He has been a product designer, recording studio designer, professor of sound design, built interactive sound related educational exhibits, designed experimental electro-acoustic instruments, co-founded a sample library company (with his work being included in major releases by Native Instruments and Ableton) and invented performance lighting devices for musicians. Phillip earned a Master’s in interactive media design at New York University with an emphasis in algorithmic music composition tools. Phillip’s recent music is inspired by the idea of evoking the spaciousness of the Western landscape, of journeying long distances in search of hopeful horizons. His style blends classic psychedelic rock and electronic sensibilities with a bluesy baritone guitar. 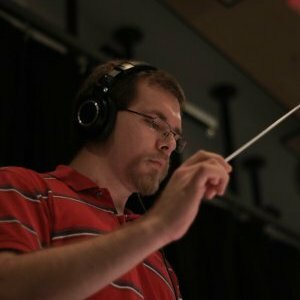 Erik Feldman is a composer, orchestrator, and conductor living in Seattle. 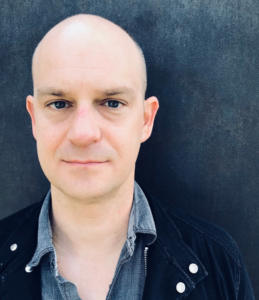 He is especially interested in adaptive and interactive music for video games, and is a graduate of the Pacific Northwest Film Scoring Program (Master's of Music, 2015) at the Seattle Film Institute; he received his B.A. in Music Composition from Whitman College in 2014. Kai is a teacher, composer, drummer, percussionist, and performance artist with a home base in Seattle. Kai also serves the SCA as our Web and Social Media Maven. Jane Mabrysmith is Seattle based vocalist, lyricist, composer, and multi-instrumentalist who combines existentialist poetry with music to create deep sonic imagery. Her numerous collaborators involve Amy Denio (Kultur Shock), Alice Bag (The Bags), and she was a member of Robert Fripp’s Orchestra of Crafty Guitarists XIII. Currently she sings, writes music, and plays guitar in Virago, plays bass in Love and Fury, and plays guitar in Amy Denio’s Truth Orchestra. She has performed at festivals such as SXSW, The Women Who Rock (un)Conference, and various clubs throughout the world. Tara Forth is a versatile composer, singer and instrumentalist based in Seattle. In addition to musical experience and training, Tara's aptitude in creative direction, tech, business strategy and marketing makes her a valuable partner in crafting impactful and memorable audience experiences. 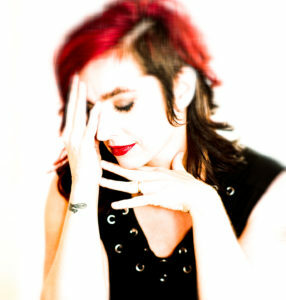 Tara's work includes film scores and custom commercial music. She recently composed the documentary soundtrack for the 'Making Of' APOSTASY, a BAFTA nominated feature film.